Is the Harvest Moon the most romantic of moons? maybe…..for me it is impossible to hear its name and not conjure Neil Young playing in the background, a golden field and a couple in the foreground dancing together, maybe in a rustic country barn at the end of the harvest celebrations. Fanciful I know, but that is the nature of romance after all. The truth is, in past times, the harvest would have been an incredibly stressful and importance occasion, yours and your families literal survival through the winter would have depended on it one way or another so it understandable that completing a successful harvest would have been celebrated. The Harvest Moon itself rises big and low, heavy with the fruits of summer and it would have provided a few extra hours of critical light and therefore working time. It is a magical moon, and if you don’t have time to make your own ritual for its celebration, just take time to go and find it over the next few nights and spend a moment just enjoying its fat, abundant beauty. 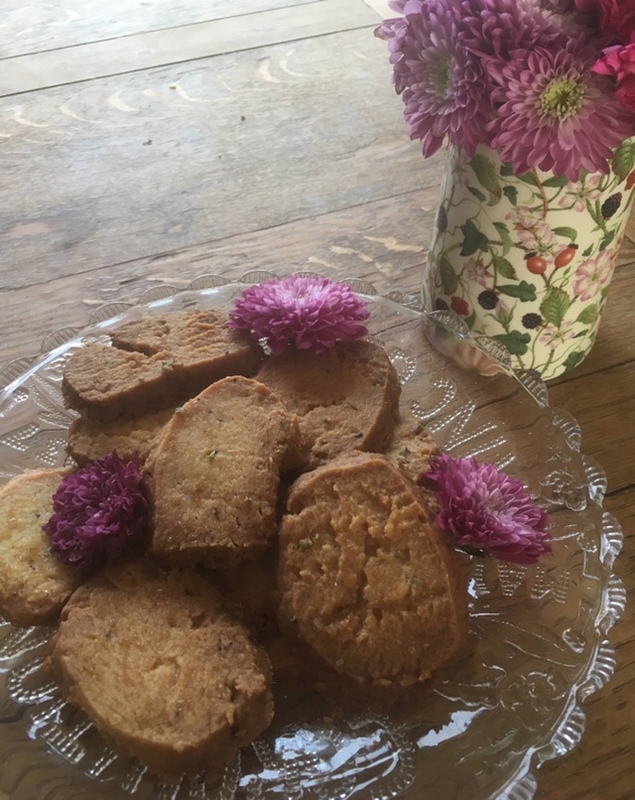 To celebrate the Harvest Moon this year I wanted to use some of my Lavender flowers whilst they were still fresh, they are slightly sweeter when used in baking when fresh and as I have just harvested them it seemed appropriate. This is a recipe that I followed is by Mary Berry, and the biscuits worked out really well. They taste wonderful with a cup of Earl Grey Tea. Lightly grease three large baking trays. Put the softened butter and the lavender into a mixing bowl and beat together (this will obtain the maximum flavor from the lavender).